On 11 August 2018 at Victoria Park, a team from Wilsons took part in the Pride Run 10k to raise money for the excellent Micro Rainbow International. 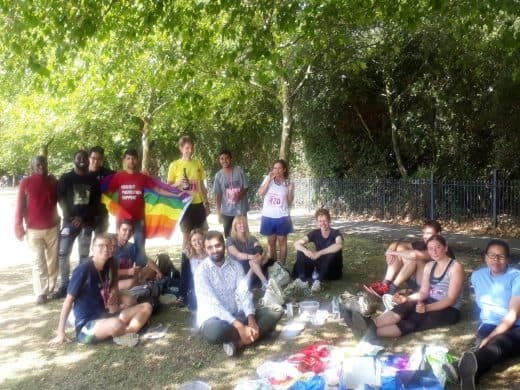 The team of Imogen Townley, Adam Spray, Tim Davies, Kabir Joshi, Emma Terenius, Lindsay Cundall, Sam Mason and Harry Clayton were joined by friends and supporters from Micro Rainbow and were rewarded afterwards with a sumptuous picnic lunch. The runners raised £285 in sponsorship, which was match-funded by the firm to give a total donation of £570 to Micro Rainbow. We look forward to supporting Micro Rainbow again next year. Micro Rainbow International‘s new project tackles homelessness within the LGBTI refugee community. Again, thank you for your continued support for this great cause. Together we can put an end to LGBTI refugee homelessness.